Canada’s advanced technology sector is facing a shortage of technical talent and immediate action is needed to reduce this labour gap. With so much growth in emerging industries, including software engineering and web development, companies need qualified personnel who can develop and use these technologies in innovative ways. If this shortage in technical skills talent continues, competitiveness will be stifled limiting new investments and technological advancements. Thankfully, actions are being taken to end this labour shortage before things get worse. A new generation of youth information and communications technology (ICT) professionals are being trained to address the issues commonly experienced by technologically-advanced businesses. With the right planning and recruitment strategy, there are ways for companies to access and retain this youth talent. Another way Canada can fill workforce voids and help grow the technology sector is by accessing international talent. Companies facing technical skills shortages (where there are no Canadians who can fill the job vacancy) may be able to access immigrant worker programs to improve productivity and provide services not otherwise able without skilled employees. Between 2016-2020, it’s expected that Canada will generate approximately 218,000 tech jobs, however some of these will be left vacant. In 2015, only 6% of the country’s graduates specialized in an ICT field, despite the sector’s rapid growth. In order to avoid serious economic consequences, Canada must develop ways to address this technical skills gap. It has been predicted that by 2020 Manitoba, New Brunswick, Nova Scotia, Ontario, and Québec will face the greatest demand for technical talent. Several factors contribute to this growing challenge, including participation barriers (such as workforce inequalities) and a general lack of interest. To mitigate workforce shortages within these provinces and across Canada, more education and a wider talent pool is needed. Expanding a potential candidate base by creating opportunities for international workers, women and other minority groups. Although those recommendations will significantly help improve the sector’s employment rates, businesses can already begin using existing government programs to help secure tech talent. Employers can access small business training grants to support their workforce development projects. This option helps employers leverage their current staff to become more knowledgeable, and therefore provide greater technical benefits. As one of the most popular training grants available, the Canada Job Grant provides funding assistance to employers who provide an eligible third-party training program for a group of employees. ICT businesses may offset up to 66% of training costs to a maximum contribution of $10,000 per trainee. Although specific program eligibility and application details differ from province-to-province, the Canada Job Grant is generally a good fit for most technical training programs. Mitacs Accelerate: Pairs Master’s and PhD university students with businesses to conduct innovative research, methods and development of tools, models, technology or solutions to support challenges. Applicants may receive up to 50% to offset a researcher’s wages up to $7,500 per four-month contract. When all other opportunities to complete technical projects have been exhausted, sometimes it’s necessary to look for talent outside of Canada. In this case, some foreign worker programs may provide additional support to employers. Federal Express Entry Program: Accelerates the immigration of foreign workers by matching employers with qualified skilled labourers, and expediting the immigration process. Temporary Foreign Worker Program: Assists business fill workforce talent gaps by supporting the hiring of foreign workers on a temporary basis. Ontario Immigrant Nominee Program: Helps businesses attract international workers and recommends them for permanent residency through an accelerated process. Attracting and retaining a skilled workforce can be challenging for Canadian ICT employers. One of the best strategies for developing your workforce, however, is to have a recruitment strategy that is continuously searching for recent ICT graduates. 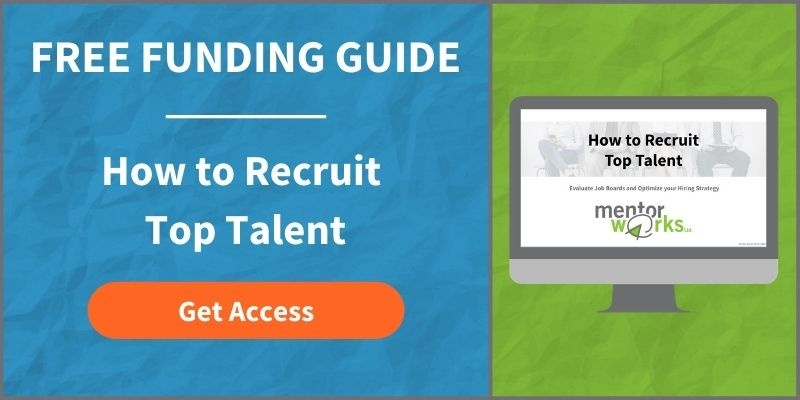 Employers that are looking to expand their workforce can access Mentor Works’ Recruiting Top Talent slide deck. This resource will allow employers to compare the benefits of popular job boards and identify how to use each effectively. What is Virtual Reality and How Can Canadian Firms Develop It?